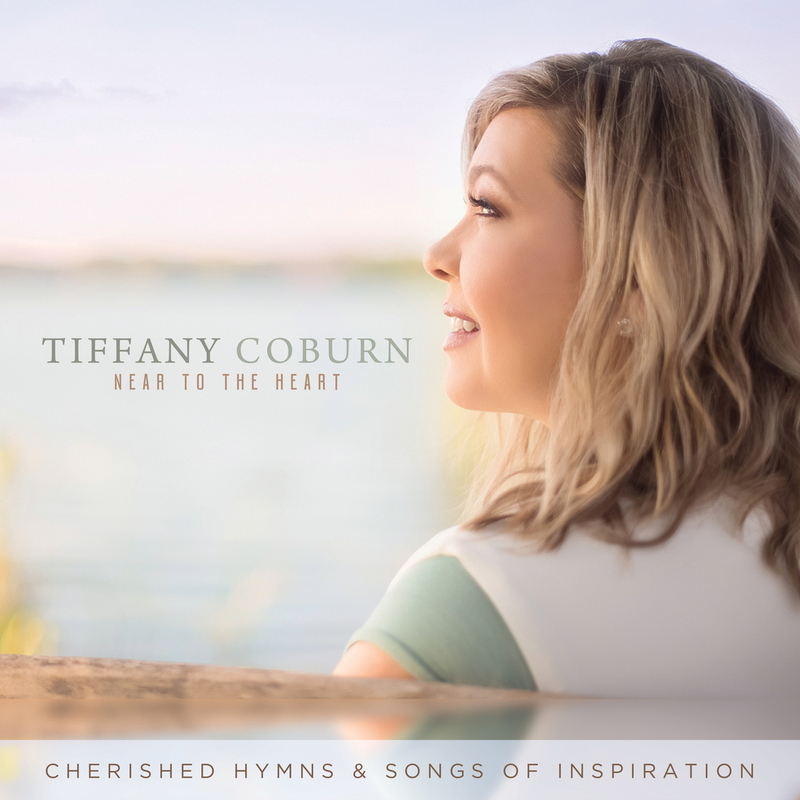 Nashville, TN (February 5, 2019) - Tiffany Coburn is thrilled with the release weekend success of her project, Near to the Heart: Cherished Hymns and Songs of Inspiration. Her debut national gospel music release claimed the #1 spot on the Nielsen Christian SoundScan (a division of Nielsen Entertainment) chart for the Inspirational Music category this past week. "I'm so touched and humbled that people are responding to my music in this way," shares Tiffany. "It's awesome to watch this all happen after months of preparation and recording and prayer. I couldn't be happier!" Additionally, Tiffany was invited to perform at the Christian Products Expo in Pennsylvania where she was warmly received by all in attendance. Her distributor, Sony/Provident Distribution, was honored to be able to introduce her to Christian retailers at this annual event. "Tiffany is the consummate professional," reflects Provident Music/Sony Music Entertainment VP of Sales and Distribution, Jimmy Wheeler. "She was met with overwhelming positive support as she entertained the people in attendance at the Christian Products Expo. I was impressed with not only Tiffany's wonderful voice but by her ability to be flexible when changes came her way. We loved having Tiffany with us at CPE." Just before Near to the Heart: Cherished Hymns and Songs of Inspiration released, BroadwayWorld published a rave review of the project. Wayne Haun, producer and co-owner of StowTown Records, is elated to have this project reviewed by this respected theatre news website. "BroadwayWorld doesn't hand out compliments often. They're actually very tough. So when you see such a write up in such a prestigious periodical, you know you've done something right." Near to the Heart: Cherished Hymns and Songs of Inspiration is currently available at all digital and retail outlets worldwide. The first single is "The Way of Love" and the official music video for that is on YouTube. Her unmistakable voice has brought inspiration and happiness to friends and families for decades. She has a heart and relentless passion for ministry. The stellar gift Tiffany Coburn brings to the world through her music is remarkable. Whether you hear her singing with Disney’s “Voices of Liberty,” “Voctave” or performing at churches and concert halls across the country, your heart will be moved by her sweet spirit and powerful voice. While Tiffany enjoys every opportunity to perform as a featured soloist at Carnegie Hall, the Lincoln Center, for the Boston Pops and for orchestras across the country, it is the opportunities to share her heart through music with the church that are the most special.